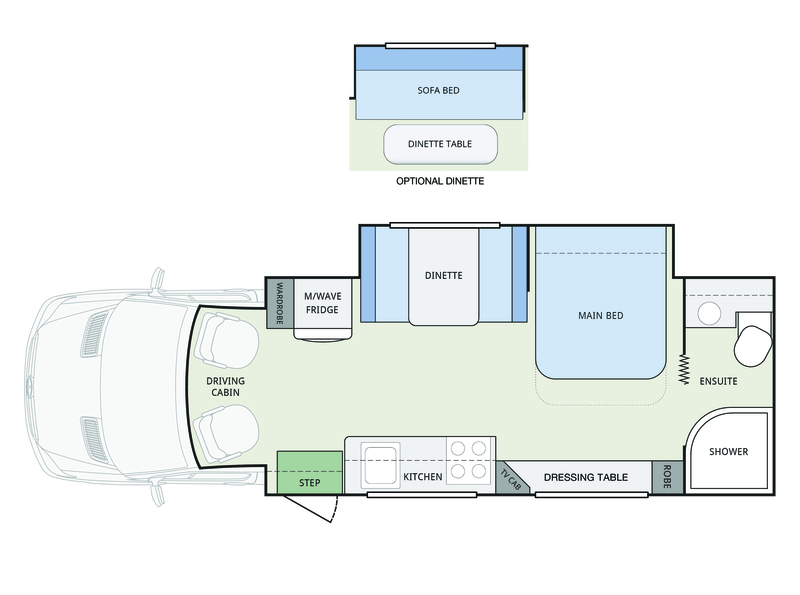 Built to the highest standards of quality and excellence, the Whitehaven represents the pinnacle in motorhome design. 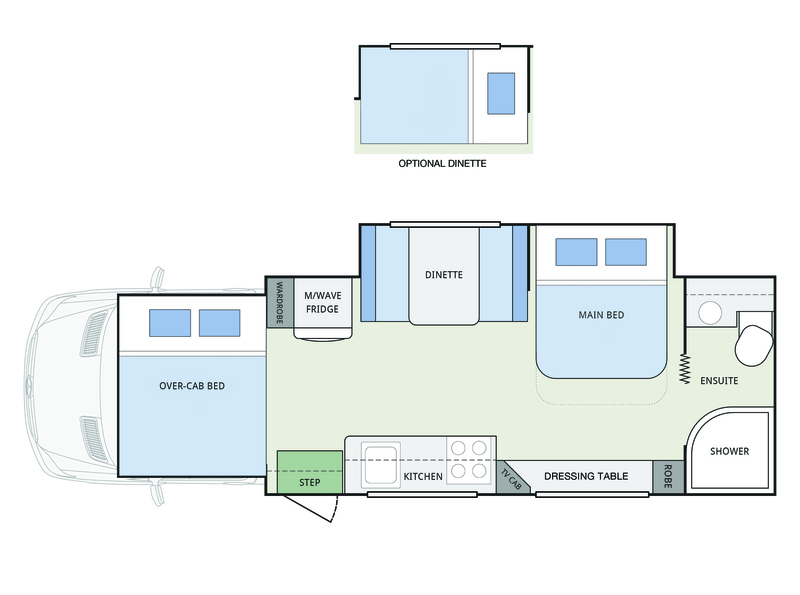 Every aspect of this spectacular motorhome has been carefully considered; from the single level floor extending from cab to ensuite, to the beautifully appointed soft furnishings and cabinetry. Front cabin swivel seats and a generous cafe style dinette combine to deliver a generous living space. Your East-West island bed is located on the room slideout, which extends outwards almost 2 feet to provide you with more room to move. Your fully equipped kitchen, including large 190L 3-way fridge/freezer, provides you with everything you need to entertain in style. Reverse cycle air conditioning, gas cooker/oven, microwave and stylish LED lighting are just a few from a long list of features that will appeal to motorhomers who demand absolute luxury and cutting edge technology in their home away from home. Queen bed stows in the ceiling of the Club Lounge by day, maximising entertaining space. Swivel drivers cabin seats provide additional lounge space.